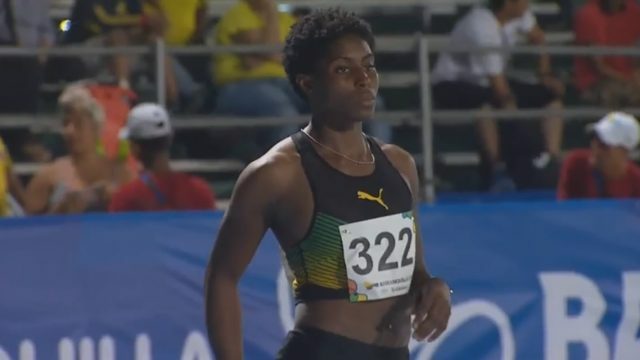 Jodean Williams wins semi-final 1 of the women’s 200m in a personal best of 22.88 seconds (+0.0m/s) at the Central American and Caribbean (CAC) Games at the Roberto Melendez stadium in Barranquilla, Colombia, Sunday night. Williams will join her teammate Shashalee Forbes into the final sets for tomorrow, Wednesday. Watch Forbes win semi-final 2 here.